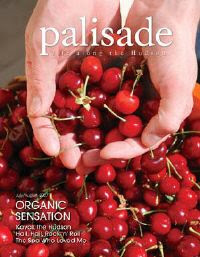 Or so it says in Palisade Magazine, where the cover article features the CSA I started in my neighborhood, with quotes from yours truly. The piece gives a detailed overview of the various options for buying organic in our area. This glossy new magazine is available, free of charge,in communities along the Hudson (in both Hudson and Bergen counties). Check it out if you can.